The hoodie is back. What was once a staple of hip-hop, skater, sports and heavy metal attire has been reborn, cemented in the fashion limelight once more thanks to hip-hop, skaters and the world of sport (but thankfully not heavy metal this time around). What are the origins of the hoodie and why is it back? The general consensus when it comes to the origins of the hoodie is that it was a New York invention, specifically the work of Champion USA (then known as Champion Products). 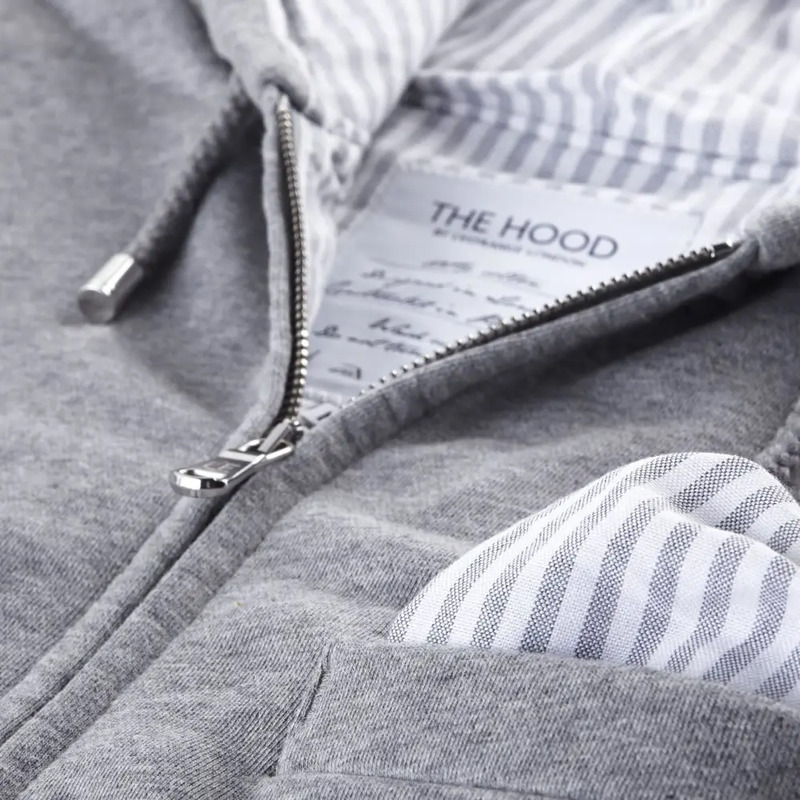 According to a former president of the company, the hoods were sewed on to sweatshirts in the 1930s in order to protect athletes and those working outside against the elements. The demand was great and they soon took off. A garment born from necessity soon took on a life of its own, becoming a core staple for the embryonic hip-hop community of the 1970s and later the skate and punk subcultures of the 1980s and 1990s. The hoodie carried a sense of rebellion and its practicality evolved with it, providing low-profile dress and anonymity as well as warmth. 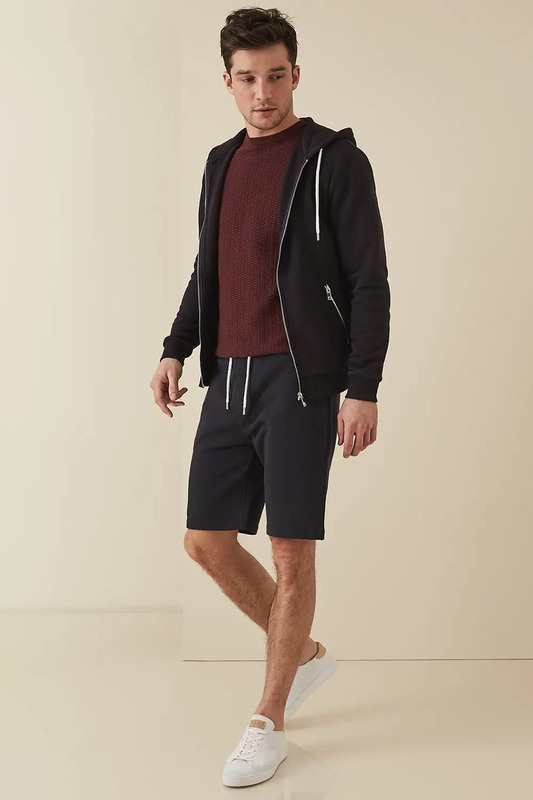 Meanwhile, the hoodie’s association with sport remained a constant throughout, particularly as manufacturers continued to push the boundaries with the release of innovative new fabrics and designs. The hoodie’s origins help to explain its current rejuvenation. 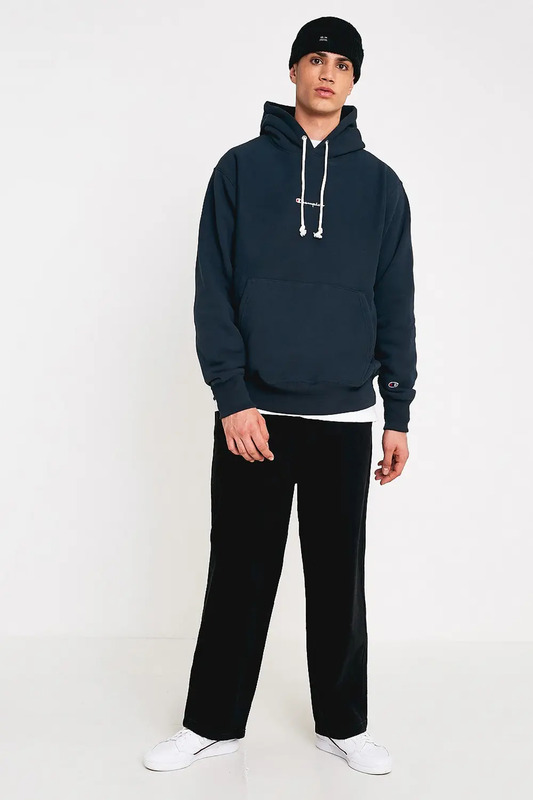 The rise of streetwear brands such as Supreme, Palace and Stussy, the adoption of athletic-inspired clothing by high-end designers and the gradual relaxation of dress codes have helped this humble garment complete it’s remarkable turnaround, turning it from a piece of clothing that you would only ever consider wearing around the house or to the gym into a contemporary wardrobe essential. The hoodie is dynamic, which means you can layer it as if it were a sweater or pullover. Wear subtle shades in-keeping with an outfit or make it the signature piece with bold, punchy colours and logos. It all depends on the look you’re going for and the risks you’re willing to take. If longevity and versatility are your priorities, you would be wise to steer understated and neutral. Nothing beats a plain grey marl version in this respect. There’s a really good opportunity to invest in quality materials here. Granted, most of what’s on offer will likely be 100% cotton (don’t settle for less), and you’ll never go wrong with a quality loopback version, but there’s also a wealth of interesting new fabrics on the market such as Zegna’s TECHMERINO™ and John Smedley’s extra fine 24-gauge merino wool which are well worth exploring. Keep an eye out for premium details in silk and suede, or if you want real luxury and you have the cash to burn, consider a cashmere version. It should go without saying here but check where items are made, consider the quality of things like drawstrings and zips, and be very particular about fit. 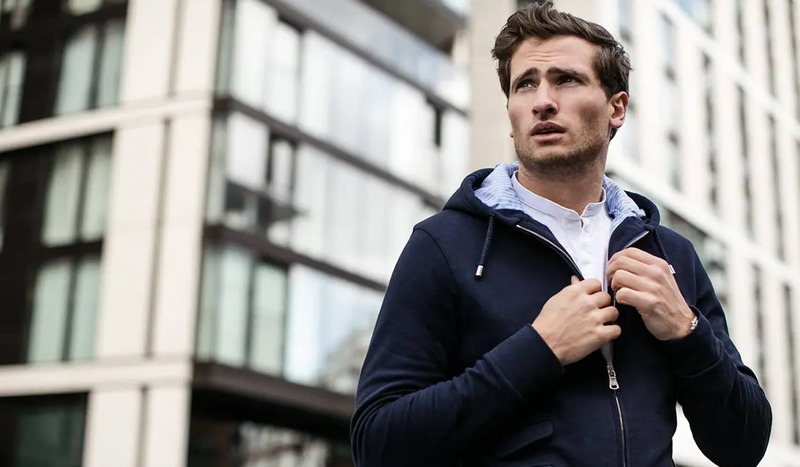 Get into the mindset of treating the hoodie like an everyday staple and invest in the best you can afford. This is perhaps the biggest taboo that has come with the resurgence, but dressing a hoodie up can be done these days. 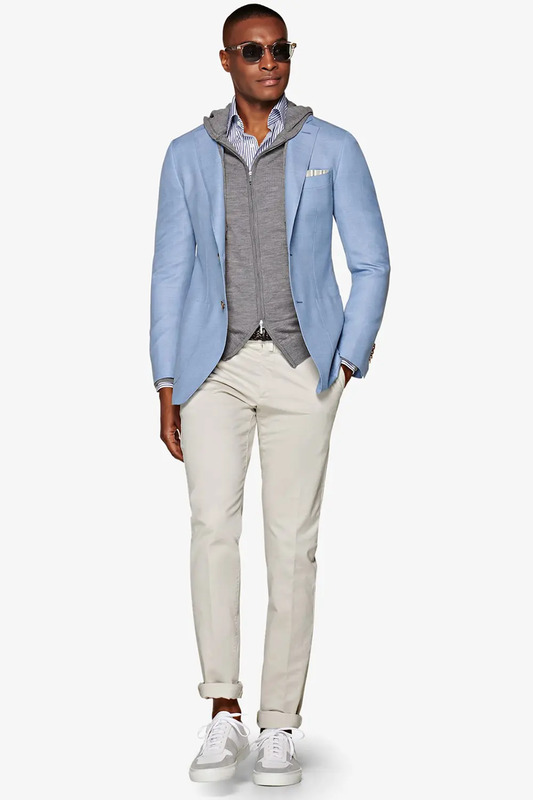 Think a well-fitted hoodie in a luxe material underneath softer tailored jacket and over a button-down shirt or polo. 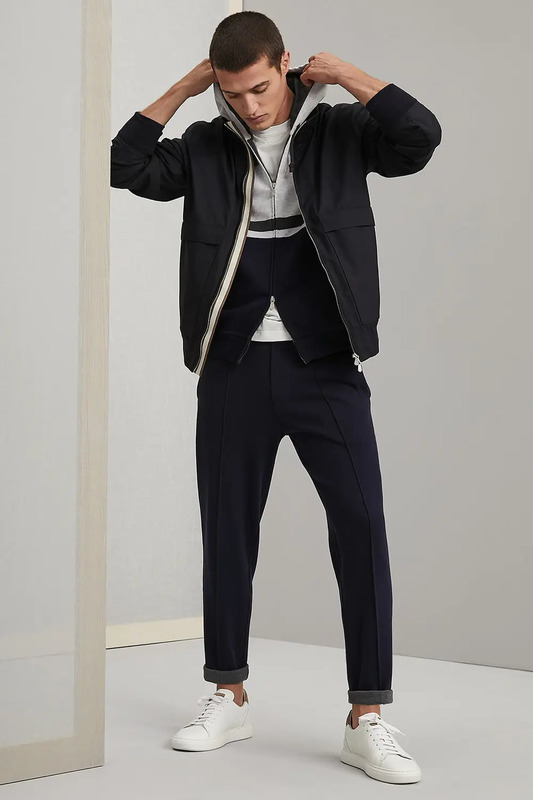 Add some tailored trousers and a minimal leather sneaker to anchor. If in doubt, look to the Italians for their seemingly innate ability to balance proportion and softness with the hood. This one is easy: simply layer a hoodie as you would a sweatshirt. Choose thicker fabrics for a warmer, chunkier winter look or keep things pared-back with a simple white T-shirt underneath a zip-through. Similarly, with colours suitably muted, a casual outfit can work around a logo hoodie as long as it isn’t too brash. Fit and material are what separate contemporary style from rebellious teen here. 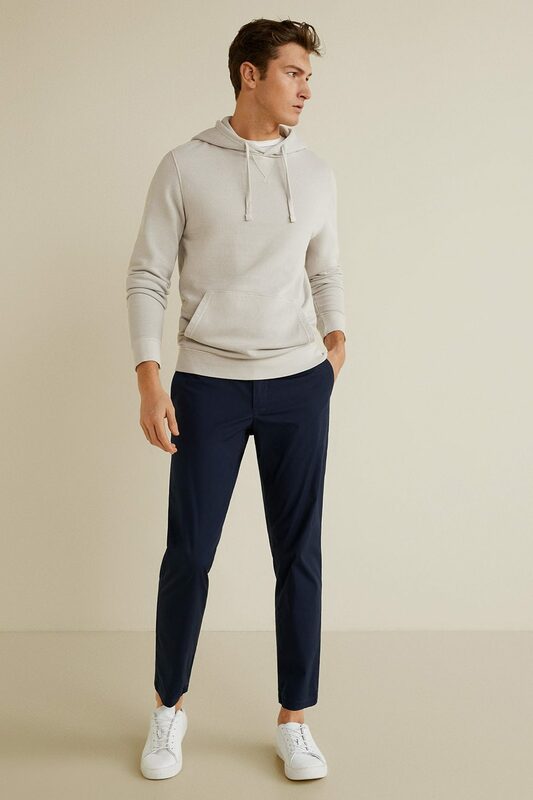 At the core of the hoodie revival is comfort and that’s the key to athleisure – effortless style with performance in mind. For an easy, stylish athleisure look opt for soft luxe bomber jackets over merino wool or cotton hoodies. A pair of smart fitted joggers and box-fresh leather sneakers finish the look off. 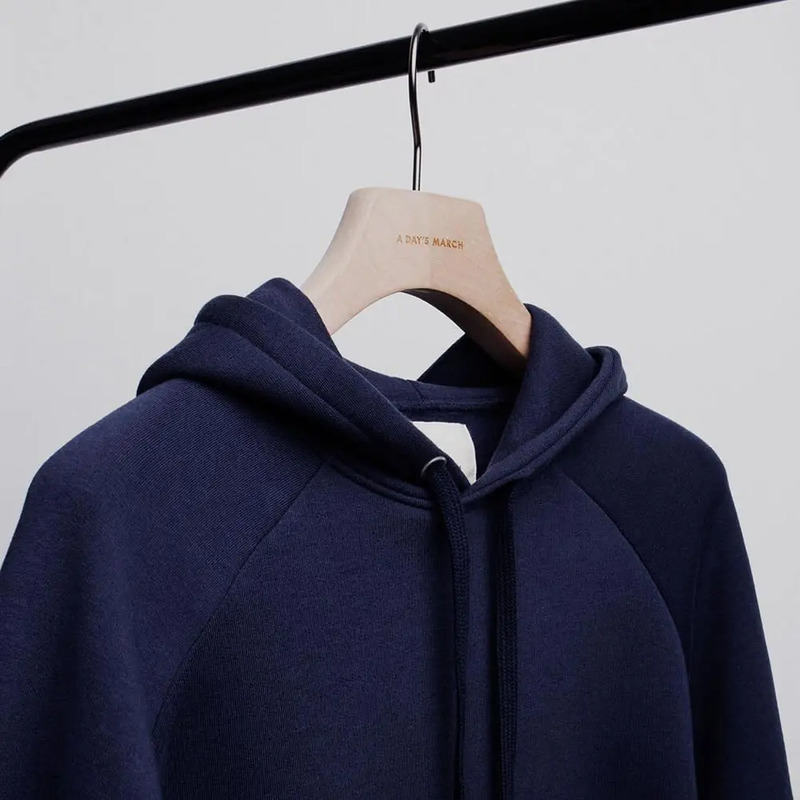 The humble hoodie has always been central to the evolution of streetwear and it’s here where the more creative side of colour, design and fit can be played with. Think relaxed cuts, visible logos, bold hues and, of course, the latest kicks. Although authentic skate-influenced brands will always dominate this aesthetic, your look can given a luxe twist courtesy of a high-fashion logo such as Gucci, Off-White, Balenciaga et al. The great constant, the hoodie in its natural element. Think Rocky Balboa but slimmer silhouettes, smarter, sweat-wicking materials, no tucking in and minus the Converse. The bottom line is: the better you look exercising, the better you will feel exercising and the more likely you’ll actually go to the gym, hit the track or get out on the pitch.